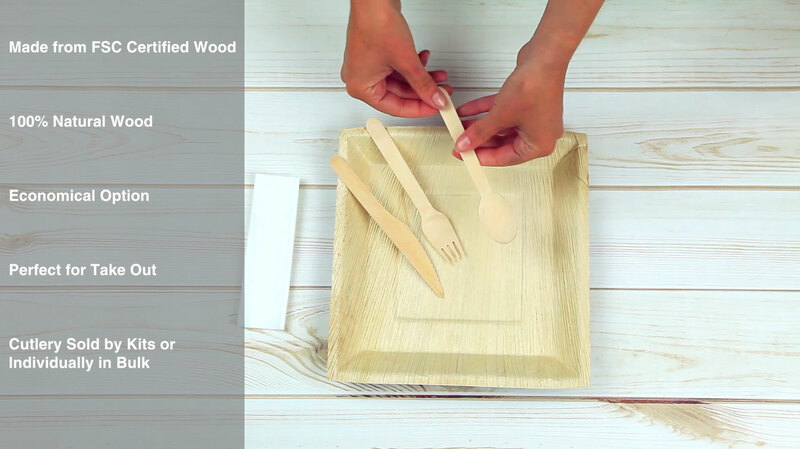 This disposable Wooden Cutlery 4 piece Set comes with 250 individually wrapped sets of (1) Knife, (1) Spoon, (1) Fork, and (1) Napkin. It is a great way to make your next event eco-friendly. These wooden utensils have a fantastic look and feel, and function extremely well when used to enjoy any delicious dish. This wooden cutlery set was better then I even expected.